With little work each season, you can have a garden full of beautiful, fragrant roses. You will be surprised to know that roses are much easier to care for than you think. In the spring, you should prune roses as soon as new buds start swelling. These small red buds will eventually become new branches. Start by removing all the dead, or damaged branches, then prune the plant until there are 5 to 10 stems left (depending on type of rose). If you leave too many, the plant will become overcrowded. Then cut these stems down so that each has a red bud at the top facing to the outside, which ensures the plant grows to a healthier and more attractive shape. Cut at a slant rather than straight across. This makes rain water drain away rather than lodging at the end of the stem. Many roses are grafted. Occasionally you may see a sucker from the roots. It will start below the graft. 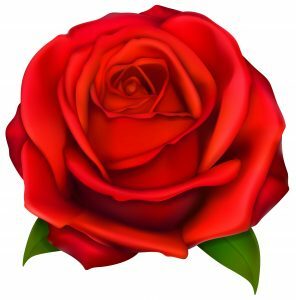 Remove all, as they will not have the characteristics of the grafted rose. To remove suckers pull them off at the root rather than cut them away. As the roses are growing, be sure to fertilize them regularly. You can use a liquid fertilizer every few weeks, or for an easier technique, you can put a granular, slow release rose fertilizer into the soil, which won’t require further maintenance. There’s not necessarily a right or wrong method of fertilizing, as different rose growers have different ideas. TIP: “Fertilize for the first time in the spring when the leaves first appear.”(you might find in Cyprus that the plant always has leaves,(clear all dead or dry looking leaves) look for the fresh ones that appear in spring or late winter. Roses also need a regular supply of water, around an inch a week. If there isn’t enough rain to provide this amount steadily, you need to water the plants yourself to make up the shortfall. The best time to water is in the morning. Water them thoroughly to encourage deep roots. It is better to give a soaking rather than a quick watering. In summer, you need to trim dead roses from the bush. This helps the plant to produce more blooms. You should also put 1 or 2 inches of biodegradable mulch on the soil, which will help prevent weeds, keep the soil moist, and over time add organic matter to the soil. Around a month before the first winter frosts are due, you should stop fertilizing. In Cyprus nothing else is required, only if you live further up from the sea you can protect with a little mulch. The best way to avoid disease on your roses is to buy quality plants, and grow in full sun. If you do have a problem most of the nurseries will be able to help you, take a sample with you. We hope your roses bloom and you have a colorful garden with this advice.